Kindly note that rates quoted do not include the release of copyright ownership. All copyright ownership resides with Portrait Workshop. A birthday gift from the client to her friend. 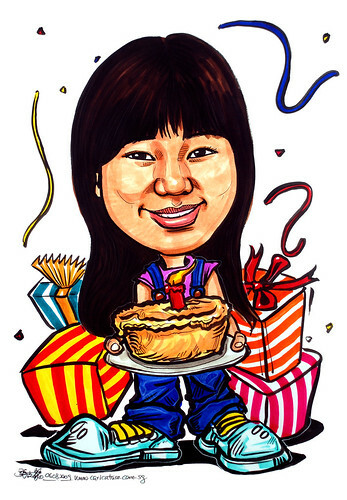 She wanted a cake and birthday presents in this caricature. ** Place order via email is preferred. Change Your Water, Change Your Life!